With the world becoming more technologically advanced, Mosaic Global is always looking for ways to enhance our client’s experience. Your needs are our priority, and our clients need Wi-Fi! Did you know that many of our vehicles in San Francisco actually provide free Wi-Fi? Our mini coaches in particular provide a wireless internet connection for our corporate groups who use these vehicles for business travel. A trend we are seeing is that our clients are often traveling with tablets in order to stay connected to work and home. We recognize that you need to be productive without excessive data usage, so we are happy to offer a free internet connection in select vehicles upon request. We want to make sure you aren’t disconnected from the world while riding with MGT. If you were wondering how we are able to provide Wi-Fi in our vehicles, we actually use MiFis. 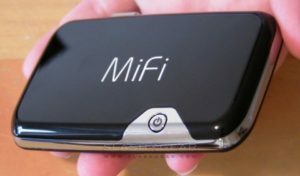 A MiFi is a wireless router that acts as a mobile WiFi hotspot. MiFi stands for “My Wifi”. It connects to a cellular provider in order to provide the internet access, much like how some smartphones can become mobile hotspots for other devices. MiFi has been a great tool for the corporate traveler utilizing chauffeured transportation. If you require Wi-Fi during your trip with us, please request this beforehand so we can make sure your ground transportation is suited with the proper equipment.